A minimum of 13 days is recommended in order for all Ayurveda treatments to be administered fully and effectively. 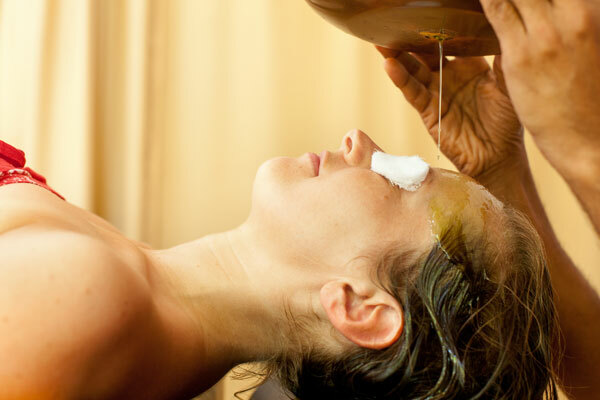 If possible, guests choosing the Ayurveda Heil program should allow for a longer stay. For those guests who want a less intensive program with more time for leisure / holiday. The main cleansing treatments of Nasya, Vasti and Virechena are administered in a shorter, milder version and massages are fewer. This enables the guest to experience a complete, though “less intensive” Ayurveda program. This level is not suitable for guests with medical complications – they need to take the Intensive or Heil Programs. From 2020, the Ayurveda Light program will only be offered during the summer months between April 21st and 30th of September. This program delivers a complete detoxification of the body. It is the level chosen by approximately 80-90% of our guests. We publish a ‘typical’ treatment schedule for this level (2 & 3 weeks duration). This details the types / numbers of treatments according to the 3 stages of Purvakarma (pre-preparation) Pradhanakarma (cleansing therapies) and Pashtatakarma (Post treatment) regenerating measures (dietary adjustments / medicines). It is intended for a ‘typical’ ‘healthy’ person i.e. with no chronic or serious medical ailments and no contra-indications. However, the schedule will vary according to each guest’s current/past medical condition, contra-indications (e.g high blood pressure / nasal bleeding), constitutional make-up, age etc. The oils prescribed for various massages, Shirodhara, preparation for Snehanam, medicines and your dietary plan are also determined by these factors. This program is for guests with chronic / multiple medical ailments such as Arthritis, Asthma, Psoriasis, Burn-out syndrome etc. These conditions require more intensive, specific treatments, more medicines, closer monitoring and supervision by our doctors. The diet may also have to be more strict to assist the alleviation/cure of these diseases. As well as treatments from the intensive schedule, guests may also receive kati-Vasti, Vamana (therapeutic vomiting), Greeva-Vasthi, Uro-Vasthi etc. The suitability of these will be determined by our doctors. As the Heil program is strictly tailored to cope with individual ailments, it is not possible to publish a ‘typical’ schedule. Experience traditional Sri Lankan Ayurveda with professional, qualified doctors and highly skilled therapists.